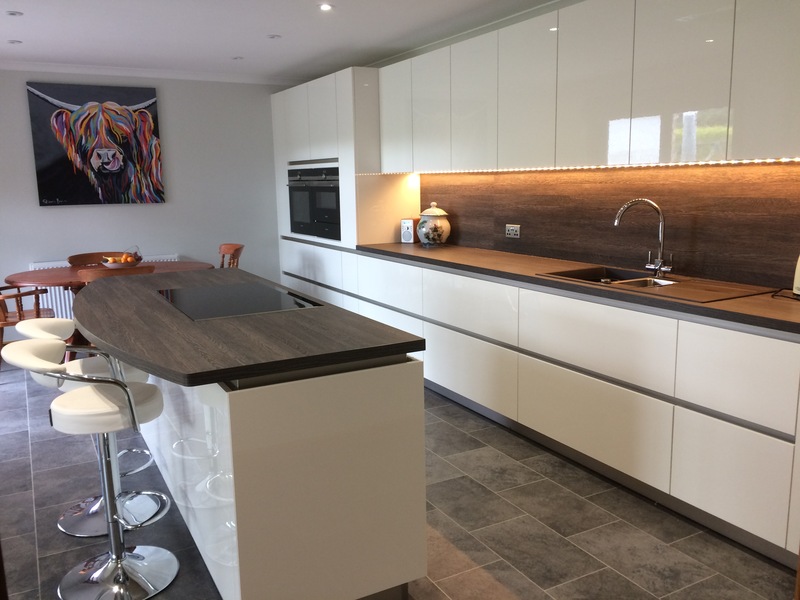 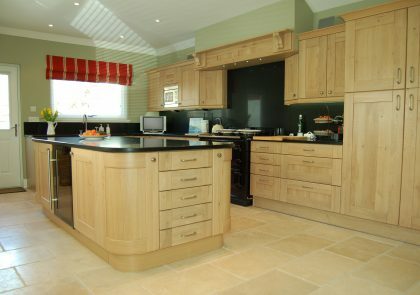 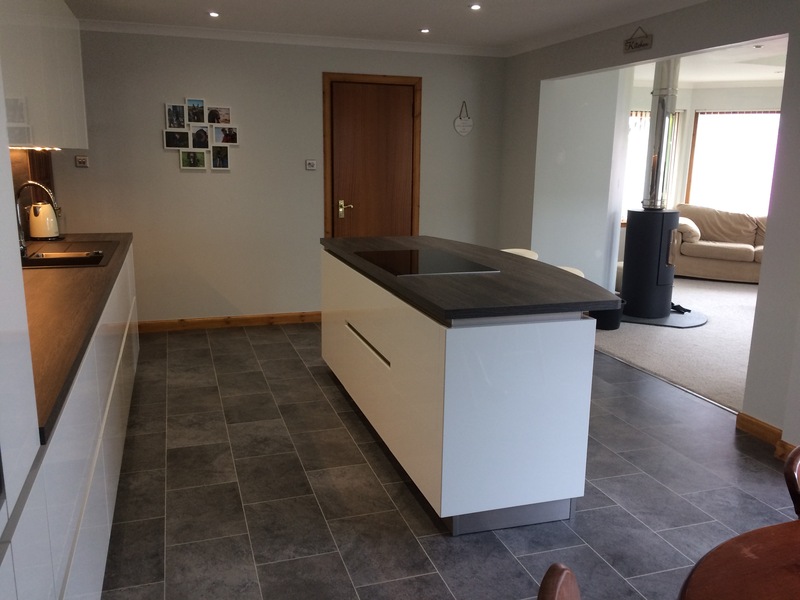 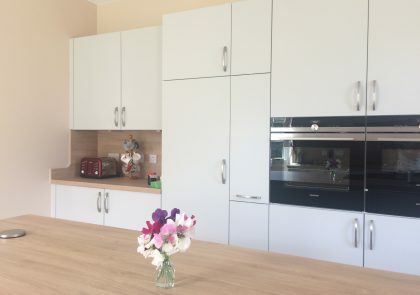 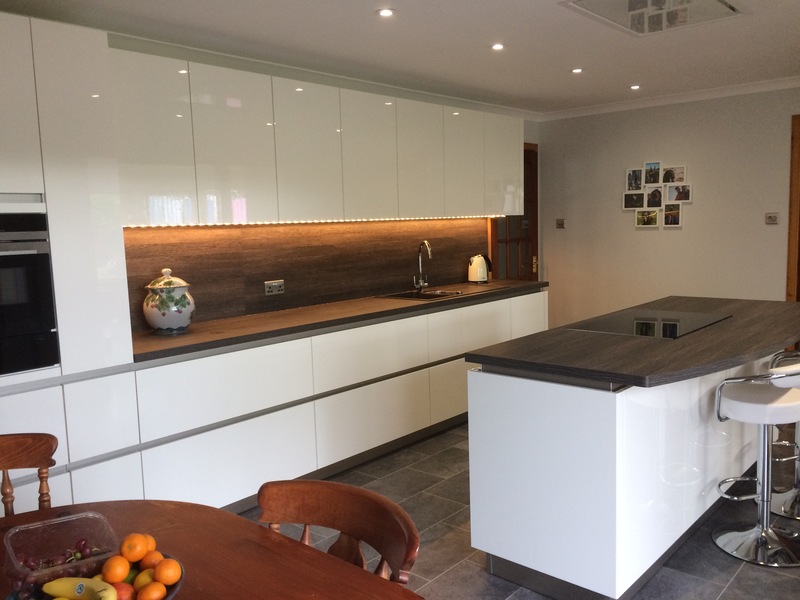 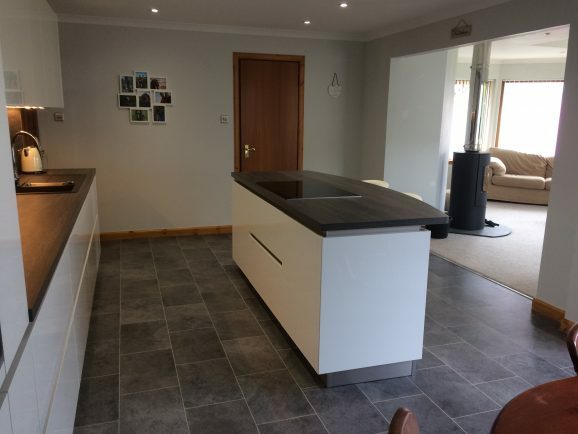 Clare selected the Uni Gloss Brilliant White lacquered door from Schuller with Schuller’s own Wenge Havana worktops and splashbacks. 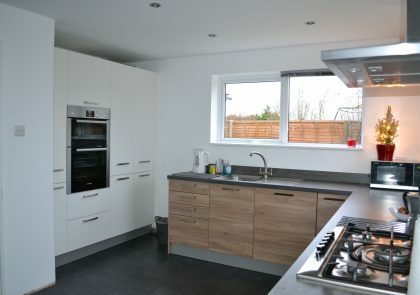 The appliances chosen were Siemens and a designer Italian ceiling extractor from Air Uno. 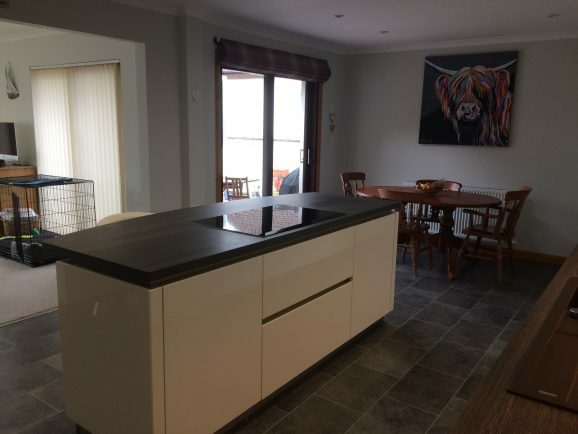 The sink and tap are from Blanco.